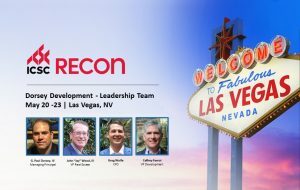 Dorsey Development attended the International Council of Shopping Centers (ICSC) annual RECon Convention in Las Vegas on May 20-23. Attendees noted that RECon had a positive vibe to it this year amid a mixed year for retail – (depending on the sector). Dorsey met with potential clients about its newly unveiled QSR BTS Program (for corporate and franchise units). The program is scalable and tailored to the specific needs of each client. Caffrey Favrot, VP of Development and former 19-year veteran of McDonald’s heads the program. Recent participants in Dorsey’s QSR BTS Program include: Burger King and El Pollo Loco. 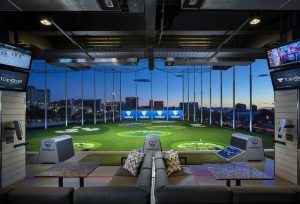 While in Las Vegas, Dorsey’s team also made time to enjoy the Encore Pool, Yellow Tail Restaurant at Bellagio, and Top Golf.